Interview with Gretchen Rubin, New York Times Bestselling author, chats with us about how your personality type dictates your success. By knowing your strengths and weaknesses you’re better able to achieve your goals, improve your habits, and structure your diet for success. 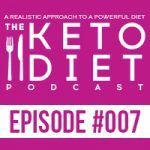 Leanne Vogel: You’re listening to episode number seven of The Keto Diet podcast. Hey. 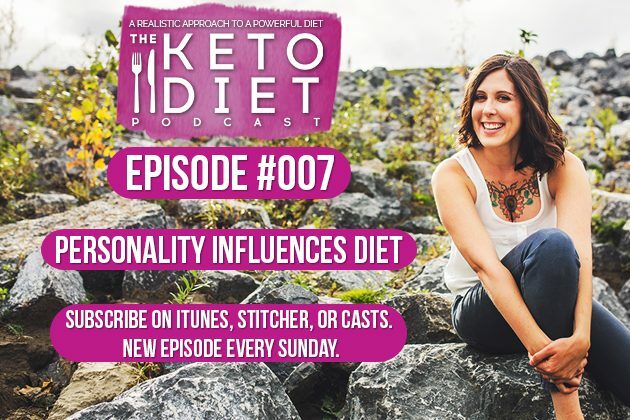 I’m Leanne from hearlthfulpursuit.com and this is The Keto Diet podcast where we’re busting through the restrictive mentality of a traditional ketogenic diet to uncover the life you crave. Hey guys. November 13th and it is exactly 34 days until I go on vacation but don’t worry. The podcast will just keep rolling along. You won’t miss an episode. I will be here every Sunday even if I’m sailing the seas and totally disconnected from the internet. The reason I bring this up is that I have literally 33 days until my ginormous manuscript has to be handed in for the paperback book that I’m writing called The Keto Diet. We planned it so that I would hand it in and go on vacation for a really long time and I’m very excited for that moment of getting on the plane and leaving my phone and my laptop and everything at home so I can recharge. It’s so important that we recharge and that we also listen to our bodies. Lately, I just, I’m tired but I’m also very excited and I cannot wait to recharge and then come back and just totally crush the new year with all of you and provide even more awesome content. Don’t worry. The podcast will be staying just as it is. Every Sunday we’ll be pre-recording a whole bunch of episodes while I’m gone. The awesome thing this week that I’ve discovered over the last couple of weeks is preparing a to-do list for yourself, specifically online in three different sections. Previously, what I’d always do is write a to-do list on a piece of paper and it would be the entire paper and everything would be on there that I’d need to do. I would get super overwhelmed at all the things I needed to do. Now, I’ve moved it online and it only allows me to have three high priority items and then ten medium priority and then everything else goes in a low priority. I cannot actually see the medium or low until all the high things are done, so it’s kept me really accountable to staying on task and it’s helped me not get overwhelmed with the things that don’t matter as much as the high priority items. If you’re the type of person who often bites off more than they can chew, this could go for work or your personal life or even your eating style changes that you’re trying to incorporate; I highly recommend giving it a try if you’re that type of person. What we’re covering in this episode, the process of becoming happier, what stops us from being happy, and how your personality dictates your happiness. The show notes for today’s episode can be found at healthfulpursuit.com/podcast/e7. Let’s hear from one of our awesome partners. The podcast is excited to be partnered with Intellibed. The non-toxic mattress that provides optimal comfort and support for your body. If you guys remember last year, I wrote a post about my new found discovery of the toxins conventional mattresses are treated in. From flame-retardants, boric acid, and formaldehyde, it was enough to make my skin crawl. All of these chemicals can wreak havoc on health, including our hormone function, so in July 2015, I swapped out my conventional mattress for an Intellibed, and it’s been one of the best choices I’ve made for our family’s health. We didn’t think that the headaches, throat clearing, and hip pains were being caused by our mattress but it’s so clear now that they were. You too can create a toxin free sleeping environment with Intellibed. And receive free shipping, a free sheet set, a free mattress cover, AND a 10% discount! I have one announcement for you guys this week. If you listened to episode six last week, I announced that I just launched my Keto Holiday Cookbook that’s complete with 30 recipes that are low-carb, gluten free, grain free, dairy free, and also have adjustments for nightshade free, low FODMAP, egg free, and nut free holiday recipes. If you’re looking at boosting your ketones during the holiday season, I highly recommend checking out the new digital book that I’ve put together for you guys. It’s only $10. You can get more details at healthfulpursuit.com/ketoholiday. Like I said, it includes 30 recipes as well as four Keto holiday dinner party menus, so if you are going to be hosting a dinner party and you’re freaking out thinking that nobody’s going to like the keto food, I have tested all of these recipes on my friends and family. Everyone was blown away. The whole meal was ketogenic and severely low-carb, and I managed to keep the macros on point for the entire event, from appetizers all the way through to desserts. Everything is included, including one of the best cranberry sauces I’ve ever had and it’s low-carb. I slathered it on all of the things. I forgot I had a second announcement. I’ll try to make it quick. Dr. Mark Hyman’s Fat Summit II began on November 7th and if you are like me and you sign up for telesummits and then miss all of them, I highly recommend you head on over the healthfulpursuit.com/summit if you are interested in learning about bio-hacking your biology and weight loss with healthy fats or you wanted to learn more about saturated fat, cholesterol, butter, sugar, carbs, or you’re looking at supplementing to aid in the digestion of fats, again head on over to healthfulpursuit.com/summit or you can learn more about the summit and all of the awesome information that they shared on the summit. If you guys listened to last week’s episode, you probably heard a new ad for Intellibed. We’ve just partnered up with Intellibed. Super excited to have them on board. I bought a conventional mattress probably about four or five years ago now, and soon after buying that mattress, my hip started hurting. Like, major hip pain. I had to go to the chiropractor. It was a huge deal. I went back to the mattress store, and they said, “Oh yeah. All you need is a body pillow,” to add onto the cost of the mattress. I bought the body pillow, and I’d had to sleep and wedge myself up against a body pillow to have a good sleep. One of my girlfriends worked for a store that sold Intellibeds. We were chatting about the quality, and the toxins in conventional mattresses that I didn’t even know was a thing. I had just spent all this money on a conventional mattress at a regular mattress store, and here she was saying that thyroid disorders and adrenal dysfunction and hormone irregularities can be caused by all of the crazy chemicals they treat conventional mattresses with. She mentioned Intellibed. I ended up chatting with Intellibed in about June of 2015 and got my first Intellibed in July of 2015, and I have loved the mattress ever sense. Kevin loves it. I love it. We cannot live without it. In fact, when we’re away from home, and we sleep in a new bed for the first time or when we’re camping, we always complain about how we don’t have our Intellibed with us. I’m excited to be partnered up with Intellibed because it’s become such a huge part of my life and healthful sleep and making sure that I’m taking care of my body starts by making sure that I’m having a good night’s rest. Intellibed was super sweet in setting up an amazing promotion for us and the podcast and all of you guys. If you go to healthfulpursuit.com/sleep and receive free shipping, a free sheet set, a free mattress cover, AND a 10% discount! If you have questions, their customer service is phenomenal, and I highly encourage you, if you’re looking for a mattress or you’re thinking about looking at mattresses, even for the future, definitely check them out. My life has never been the same, and I know that Kevin would say the same. Lastly, if you have an idea for a podcast episode or you want to submit praise over and above the review, you just posted for the show, right? You can reach me at info@ketodietpodcast.com, and I’m going to read one of the reviews that came in over the last couple of weeks. Awesome. I’m so glad you feel that way. I ain’t got time for unrealistic, and I know a lot of people don’t, so if you want to leave a review for the podcast and support my show, you can go to healthfulpursuit.com/review and you’ll be directed to a page where you can submit your review. Click on reviews, write a review, give me five stars, hopefully, and write something nice or you can go to your favorite podcast app and search for The Keto Diet podcast and submit your review there. I interviewed Gretchen Rubin, and we’re going to cut over to that interview in just a second. If you guys aren’t familiar with Gretchen, she’s the author of several books including the blockbuster New York Times bestsellers, Better Than Before, The Happiness Project, and Happier At Home. She has an enormous readership, both in print and online, and her books have sold more than two million copies worldwide in more than 30 languages. On her popular weekly podcast, Happier with Gretchen Rubin, she discusses good habits and happiness with her sister, Elizabeth Craft. They’ve been called “the click and clack of podcasters.” Her podcast was named in iTunes of Best Podcast in 2015 and was named in the Academy of Podcasters Best Podcast of 2016. BuzzFeed listed Happier in the 10 Life Changing Things to Try in June and the New Yorker said, “Their voices remind you that life is a human project that we’re all experimenting with.” The podcast consistently ranks in the iTunes top charts. In the podcast, we chat specifically and what I loved where this conversation went was about our personality and how our personalities can very much dictate our happiness, how we interact with others, how we interact with ourselves, and really how understanding our personality can help us structure our diet in a way that is successful. Certain people will need certain things out of a diet. Certain people will need certain support groups, and we chat about how to wrap this all up in a gratitude practice to really to it home and to instill habits that will set us up for success, so let’s cut over to the interview. Hey, Gretchen. Thanks so much for coming on the podcast. Gretchen Rubin: Oh, I’m so happy to be talking to you today. Leanne Vogel: This is so great. For listeners that may not be familiar with your work, tell us a little bit about yourself. Gretchen Rubin: Well, I’m a writer. I’m probably best known for my book called The Happiness Project, which is an account of the year that I spent test driving The Wisdom of the Ages, the cotemporary scientific research, and lessons from popular culture about how to be happy. I report on what worked and what didn’t, and then I wrote a book Happier at Home, which is all about diving into the home and trying to make your home a happy place. Then, most recently I wrote a book, Better Than Before, which is all about how to change your habits because what I found is that a lot of times people know perfectly well what would make them happier. The problem is how do they get themselves to do it, so habits can help us do that. I got very interested in how habits can make us happier, and I also have a podcast called Happier, I think you see a theme here, with my sister, Elizabeth Craft, who’s a TV writer and producer. Once a week on Happier, we talk about how to be happier just sort of concrete tips for everyday life. Leanne Vogel: How did all of this start? Your love of being happy and what was the catalyst for wanting to change your happiness? Gretchen Rubin: Well, I didn’t come from a place of deep unhappiness. I was pretty happy when I started. I had started out my career in law. I was a clerk for Sandra Day O’Connor on the Supreme Court when I decided I don’t want to be a lawyer. I want to be a writer, so I switched to writing, and I’d written I think three or four books. It turns out; it’s such a fascinating subject that I have been writing and researching and talking to people about it ever since. Gretchen Rubin: Yeah. I think sometimes people assume that if somebody did a happiness project, it must be that they were in a place of despair. I was pretty happy, but I thought I’m not even appreciating enough how happy I am and that was one of my big goals for my happiness project was just to recognize how happy I already was. Leanne Vogel: Okay. That’s a whole different way of looking at things as opposed to what are all the things that I’m focusing on that are unhappy and how do I change it. It’s like, what are the amazing things that are happening in my life right now that I can be grateful for to allow me to be happy. Gretchen Rubin: Well, you know, I think everybody recognizes, and certainly research supports the idea that gratitude is … People who are grateful are much happier. They even sleep better and are healthier, but it’s sometimes hardest to be grateful for the things that you should be the most grateful for. It’s hard to be … to remember electricity. On the podcast, recently I just talked about how I was trying to remind myself to be grateful for contact lenses, which are something that I use every single day of my life, from the moment I wake up to the moment I go to bed. They are huge happiness booster for me and yet I never think about them. You want to remember how much you have to feel grateful for and not wait until something’s taken away from you to realize how important it is to your happiness. Gretchen Rubin: I think health is like money. When you have it, it’s very easy to overlook the important role that it can play in your life and then when you don’t have it; it looms very large as a happiness challenge. I think health is something where you want to be grateful for good health and also to be willing to do the things that maybe are not fun or happiness inducing in the short term but that are going to make you happy over the long run because sometimes we do deprive ourselves or push ourselves to do things that in the immediate experience are not what we would feel like doing, but we know that in the long run, we’re going to be much happier for doing them. Leanne Vogel: What did your happiness project look like? I know there were different phases of your project and tell us a little bit more what that process was like. Gretchen Rubin: Well, I decided that I would do it for a year, which seemed long enough to be, like to have real change but short enough not to be too intimidating, so I spent a month. I picked 12 areas of my life where I thought I needed to do work to be happier and for everyone, those would be different because everyone has different values, different interests, different limitations. The first one was energy because I thought, “Well if I had more energy then everything else will be easier.” Everything’s easier if you have energy. Then, I would think about, “Well, what are like two, three, four concrete, manageable resolutions that I could do to try to make myself happier in that area.” I did that throughout the year. Then, at Happier at Home, I didn’t the same thing but focused on like at Happier at Home one of the months was possessions because what is a big aspect of your home? Obviously, it’s your possessions and possessions … it’s a very emotionally charged area within the larger subject of happiness. That’s how I structured those two happiness project years. Leanne Vogel: You mentioned core values and values. As somebody that gone through, like Danielle LePorte, for example, if you’re familiar with her and her Desire Map program. Gretchen Rubin: Yeah. Sure. Yeah. I know Danielle. Leanne Vogel: Her core desired feelings are really good for figuring out really what you’re after and I know that once I figured out what my values were, freedom, spontaneity, and adventure if things don’t align with that, I’m not as happy. I find it so much easier to be happier. Do you have tips on how one can define those core values to know how to define their happiness project? Gretchen Rubin: Well, you know I think that’s a very … This is a super critical issue, and I feel like it’s the great challenge of our lives to know ourselves, and you can only build a happy life on the foundation of self-knowledge, but it’s hard. It’s very hard to look in the mirror and see who’s really there because we’re so distracted by who we wish we were, who we think we ought to be, who other people are expecting us to be, so one of the things I try to do in my work always is to raise questions that will illuminate an aspect of our personality or show us indirectly something that’s hard to see directly. One good question is, whom do you envy? Envy is a very negative emotion. A lot of times we want to pretend like we don’t feel envious but it’s a hugely helpful emotion. If you envy somebody, they have something you wish you wanted and that tells you something important about yourself. Another question is, what did you do for fun when you were ten years old? A lot of adults have lost touch with what they would do for fun. They’re so focused on, “What’s fun for the whole family?” It’s like, no. What’s fun for you? What do you feel like doing? Maybe everybody wants to go out and play touch football, but you want to read in bed. You need to know that, but what you did when you were ten years old is probably something that you would like to do now. Then, I also in my most recent book, Better Than Before, I tried to highlight a lot of distinctions that come up with habit formation. For instance, abundance lovers and simplicity lovers. Simplicity lovers are people like me. We like bare surfaces, clean shelves, not that many choices, a lot of … less. Then, there are abundance lovers, and they love profusion and choice and collections and buzz and a lot of stuff going on. It’s not that one was better than the other or one person’s right and one person’s wrong. It’s just that people thrive in different environments, so if you’re working for a boss that says to you, “A cluttered desk means a cluttered mind,” it’s like well maybe that’s true for you, but that’s not true for me. In Better Than Before, I try to highlight tons and tons and tons of these kinds of differences because I sometimes think when it seems maybe overly simplistic to divide people into categories, but I think it’s actually can be quite helpful. Leanne Vogel: Yes. 100%. One is not worse than the other or anything; it’s just understanding who you are as an individual so you can get to know yourself. Leanne Vogel: You mentioned thinking of who we should be especially as it comes to society, I know a lot of the women listening are using diets, like very strict, restrictive dieting to change their body in some way of upping their social status. Any thoughts on that when it comes to happiness and core values at all? Gretchen Rubin: Well, you want to do things for the right reasons, and you want to … I guess I look at it differently because when somebody’s trying to make a big change like that, to me what’s important is, are you keeping your promises to yourself? Whatever those promises are, whatever you think would lead to a happier life. One question is, are you right that doing that will make you happier? That’s a question of, is it going to make you happier? Which is a question? Another thing is, well, can you follow through for yourself because when we don’t keep our promises to ourselves, that is a very bad feeling. When you feel like you cannot trust yourself, you cannot rely on yourself, that’s tough. Now, one of the things that comes up is that a lot of times we think that what will work for somebody else will work for us or we think that if somebody tells us this is the right way to do something, then if we cannot do it that way there must be something wrong with us. Like, say facing a strong temptation, whether that’s a food temptation like chocolate is your kryptonite, or maybe it’s something like Candy Crush, which is my sister’s kryptonite. She’s like, “Candy Crush is affecting my career. I can not stop playing this game.” For some people, it’s much easier to give things up altogether. Again, it’s not that one person’s right and one person’s wrong; it’s how do we find a way that works for us because I think a lot of times when people struggle it’s because they’re trying to fit themselves into someone else’s mold. That mold may fit or just very well may not fit, so the question is, well, what kind of person am I? Leanne Vogel: Yeah, which wow. That’s a huge question, right? Leanne Vogel: Who am I? Gretchen Rubin: No. It’s a huge question. Leanne Vogel: For anyone listening that’s maybe thinking like, “Oh my gosh. Happiness Project and committing to a year of self-discovery, I ain’t got time for that.? Gretchen Rubin: Oh, my whole thing is doing it in your day. I mean, I love reading about people, you know, “Oh. Mrs. Gilbert’s moving to India or whatever.” I think that’s fun to read about. But my whole … I’m like; I had to live my ordinary life, so everything I talk about is stuff you can do with a lot of … without any extra time, energy, or money. It’s very manageable. I think most people know, we all have low hanging fruit. There’s stuff that we can do as part of our ordinary day to be happier. If we would just sit down and think about how we might go about that. Leanne Vogel: What were some of the things when you first started where those low hanging fruit quick wins? One of the ones that I did that had a huge effect was just to say every time somebody came and went from our apartment, they would get warm … We call them “warm greeting and farewell.” A warm hello and good-bye because what we’re finding is people are coming and going, and people were just grunting out a hello and barely looking up from their book or their device or their newspaper or whatever. That just wasn’t the attentive atmosphere that I wanted in our home, so we all decided that almost everything that I do is only me. I make almost no group resolutions because that’s one of the sad truths about happiness. You cannot change other people though you wish you could, you cannot. That’s when we all agreed we would do it and it’s just it takes no time or energy practically just to give someone a honest, true hello or good-bye when they’re coming of going and it dramatically changed the atmosphere of my home. Leanne Vogel: I remember there was a … I think it was part of this section of your podcast. You were talking about how, I think it’s something to do with toilet paper and how you guys didn’t have storage for toilet paper in your bathroom, so you just … These little things would just make you happier. Leanne Vogel: Yeah. That holds toilet paper. Yeah. That’s another segment of “Happiness Hack.” Then, we also talk about happiness stumbling blocks, like what are the things, when people are trying to be happier there are very consistent things that bring us down, os how do you deal with that? Leanne Vogel: What are some of the things that hold us down or hold us back from doing this work? Gretchen Rubin: Well, part of it is our willingness to let ourselves off the hook and better than before I talk about the strategy loopholes, which are … We’re amazing advocates for ourselves, and I have ten categories of loopholes. They’re all super popular like there’s the “Tomorrow” loophole. It doesn’t matter what I eat today because starting tomorrow I’m going to be so good. Then, there’s a loophole. It doesn’t matter what I eat today because yesterday I was so good. Then, there’s the “Lack of Control” loophole. I had to eat it because I was at a business dinner. There’s the “Fake Actualization” loophole. Life’s too short not to give me a brownie. Part of it is that we’re very good at figuring out why we should let ourselves off the hook. Then, I think part of it is also we don’t understand ourselves enough to set things up in a way that will allow us to succeed because my whole thing is, we’re constantly presented with these magical one size fits all solutions. Do it first thing in the morning. Start small. Do it for 30 days. Give yourself a cheat day. This is the answer, and maybe those things work sometimes for some people, but they don’t work all the time for everybody, so how do you think about what’s true for you. I think because people often are trying to just use a template instead of thinking about themselves then it just is not a good fit. For instance, morning people, night people. If you’re a night person, which is largely genetically determined and it’s also a function of age, you’re at your most productive, creative, and energetic much later in the day. The idea that you’re going to get up early and go for a run or you’re going to get up early and work on your novel in your free time is just totally unrealistic. I’m just saying right now; it’s very unlikely that you’re going to be able to do that because you probably can barely get to work on time because you’re a night person and there’s nothing wrong with that. Some people are morning people, and some people are night people, so the answer for you is to schedule that later in the day when you are at a higher energy place. I’m a morning person. I never schedule anything important later in the day because I’m in a constant … My energy’s just going down, down, down, down but for somebody else, that’s not what’s true for them. Why am I telling everybody to do something because I used to think everybody could be a morning person if they just went to bed on time, but that’s not true. Leanne Vogel: I used to think the same thing. If you just do it this way, as it can totally work but that’s so not true and something that … I was listening to a podcast maybe a couple of years ago, and the guy was speaking about a morning practice and developing a morning practice for yourself to get started with the day. I’m like, “That’s a brilliant idea,” and he’s like, “I get in my golf cart, and I go around our private neighborhood.” I was like, “Wow. Well, this isn’t going to work for me. I don’t have a golf cart, and I don’t live in a gated community, so I guess I won’t do a morning practice.” I was like, “Wait a minute. That makes no sense.” Why would I think that I need to fit in somebody else’s box or mold like you said? I can still have a morning practice. It just may not look like golf things and go around a gated community. Gretchen Rubin: One thing that I found is I have this personality framework that I came up with that divides the whole world into four categories. What I found is that what’s true for one category person is not necessarily true for another kind of person and might be counterproductive for another kind of person. You have to be very wary when somebody says, “Well, you should be able to do this,” because it’s like, “Well, you can do it that way, but that might not be the right way for me,” because … I call this the “four tendencies” because if my tendency is different from your tendency, then we might respond to different kind of circumstances in very different ways. InstantPot, my personal favorite pressure cooker is a partner of the podcast. With Instant Pot, you can make meals in minutes. Truly. I was someone who was intimidated by pressure cookers but I’m so happy I gave Instant Pot a try. It makes rich bone broths, hearty stews, and epic dishes just like your slow cooker does but a lot quicker. I have the Instant Pot IP Duo 60, which pressure cooks, slow cooks, cooks rice, sautes, makes yogurt, steams, and warms up food all in one. As an exclusive for Keto Diet podcast listeners only, Instant Pot is offering everyone $10 off any Instant Pot of their choice. Simply go to instantpot.com. Find the unit that best suits you and use the coupon code HEALTHFUL, that’s all in caps, no spaces for your $10 discount. Leanne Vogel: What are those frameworks? Like, there’s four of them. Gretchen Rubin: It’s whether you’re an upholder, a questioner, an obliger, or a rebel and it has to do with how a person responds to expectation. Outer expectations, which are things like work deadlines or requests from a spouse and then inner expectations, which is your desire to give up sugar or your own desire to keep a New Years Resolution. Upholders readily met outer and inner expectations, so they may work deadline, they keep a New Years Resolution without much fuss. They want to know what’s expected of them, but their expectations for themselves are just as important. Then, questioners. Questioners question all expectations. They’ll do something if they think it makes sense so that they won’t do anything arbitrary or inefficient or irrational, so in a way, they make everything an inner expectation. If it meets their criteria, they’ll do it. If it doesn’t, they won’t. Then, obligers. Obligers readily meet outer expectations but they struggle to meet inner expectations, and I understood this tendency when a friend of mine said, “When I was in high school, I was on the track team, and I never miss track practice, so why cannot I go running now?” Well, when she had a team and a coach waiting for her, she had no trouble showing up, but when she was on her own, she struggled. Then, finally rebels. Rebels resist all expectations, outer and inner alike. They want to do what they want to do in their way, in their own time. If you ask or tell them to do something, they’re very likely to resist. They often don’t even want to tell themselves what to do. Gretchen Rubin: There’s a … If you go to happiercast.com/quiz, there’s a quiz that you can take that will tell you what you are but most people can tell what they are just from this brief thing. I have to say, giving your three core values, I think I could guess what yours is. Leanne Vogel: Okay. What? What? Gretchen Rubin: Well, those are very core values to rebels. Gretchen Rubin: There you go. Spontaneity and adventure, I’m like, “Oh man. She’s got rebel.” What’s maybe interesting for you to know, rebel is the smallest tendency. The fewest people are rebels, which probably you’ve figured out in the world. There aren’t that many people who are like you, right? Leanne Vogel: Yeah. None. Yeah. Gretchen Rubin: My tendency is also very small. Upholder tendencies are only slightly smaller than the rebel tendency. We’re like the two extreme kinds of personalities. Overwhelmingly people are questioners or obligers. An obliger is the largest tendency. The most number of people, both men, and women, are obligers. That’s worth thinking about if you’re figuring out how to work with somebody knowing their tendency, is going to have a very big influence what’s going to work with them effectively. Gretchen Rubin: Well, see that is a key, key, key insight and before I came up with this four tendencies framework, I actually knew some people just from around who had left big jobs where they had a boss, and they had colleagues, and they had deadlines and deliverables and all that, and they were super productive and had no trouble working. Then, they went off on their own. One wanted to start a fabric design business online, and the other one wanted to do another thing and they were parallelized. Both of them returned to their old kind of work and knowing what I know now; I would say, if you’re an obliger, you’ve got to figure out a way to have accountability. For an obliger to meet inner expectations, the solution, the answer is always outer accountability. There’s a million ways to build an accountability once you realize that that is the missing piece but a lot of obligers don’t realize that that is the thing. They often have other explanations, which distract them from understanding how they could plug in the solution. You could have a group of accountability where … I just launched this app called Better on iTunes and all that, and one of the things people can form accountability groups online and it’s like, a lot of times you just need to know that somebody’s going to be like, “How’s that going? You said you were going to bring lunch from home instead of getting fast good. You said you were going to do that two weeks ago. Last week you stuck to it. How are you doing this week?” Knowing that someone is holding you accountable is helpful for obligers. Leanne Vogel: Whereas with a rebel, I don’t like accountability. Gretchen Rubin: For a rebel, you need to have a very, very different kind … It needs to come from a very different place. You can see that the accountability that’s essential for obligers is counterproductive for rebels. This is why a lot of times when there are health interventions, they don’t work very well because for some people, maybe it works and for some people, it’s not getting them what they need. Leanne Vogel: Totally. What about for the other two personalities? Are there different tools and tips that one could follow when it comes. Gretchen Rubin: Well, for upholders, it’s pretty easy. That’s, again, like any intervention is going to work with upholders because upholders don’t need any intervention. They’re just like, “Yeah. Okay. I get it. I’ll do it.” If they want to, they can. I mean, I’m not saying it’s effortless, but it’s comparatively easier for upholders. Questioner, it’s always rational. Are they convinced that this is a good idea? A lot of times somebody will say, “Well, you should do this,” and they’re like, “Okay,” but they’re not convinced, so they don’t followup with it. Questioners need justification. They have to be convinced. If you’re telling me to do something, I have to trust your authority. Also, they tend to love to customize. If you hand them like, “This is what you’re supposed to eat,” they’ll be like … Like, a friend of mine is a Type 2 Diabetic and the doctor handed him this whole thing and he’s like, “Well, let me tell you how I’m going to do it because I’m going to do it my way and I’m just telling you this way I’m going to have to adjust it a little bit.” It’s like, “Okay.” They love to customize. Leanne Vogel: Yeah. At some … Yeah. Gretchen Rubin: I don’t know about you if your questioner husband has this, is a lot of times questioners hate to be questioned. Gretchen Rubin: They don’t like answering questions, which is ironic but it is a very common pattern among questioners. Leanne Vogel: Yeah. I know Kevin feels challenged like insulted immediately when I ask a question. Gretchen Rubin: Yes. They do because they’re like, “You should trust my judgment. If I say this, you should know I’ve done the research and how can you …” Yeah. Leanne Vogel: It’s the way. Gretchen Rubin: Again, like right now all this is very predictable. These patterns are very predictable. If I know … I would say probably your husband may have trouble maybe in school or at other jobs because of people … “He was not a team player,” or, “He asked too many questions,” or “He was impudent to a teacher because he was asking questions like, ‘Why do we have to learn about Mesopotamia? '” Very common among questioners. As a rebel, you probably find yourself pushing back or maybe you won’t do something that you were otherwise planning to do because somebody told you to do it and you’re like, “Well, I was going to do it, but now I’m not going to because you told me to.” Sometimes rebels won’t even do what they want to do because somebody’s telling them to do it or they might struggle to tell themselves what to do. I’d like to be able to do this, but for some reason, I’m having trouble getting myself to do it because I don’t want to tell myself what to do. If you had outer accountability for your inner expectation, then all that would fall away. Over and over obligers tell me that that’s the answer because once they have the outer accountability, then they can do whatever they want to do but when they just try to like, “I want to make myself a priority. I want to put myself first,” it just doesn’t work. I’m like, people can spend years trying to do that. It’s very abstract, and it just doesn’t seem to work. This works right away. I’m like, “Take the easy solution.” An outer accountability is so easy to create. There are a million ways to create outer accountability, so just get there the easy way, in my view. Gretchen Rubin: “How can I say no to a bunch of first graders? They’re relentless.” It’s just like all … Sometimes obligers will often feel like it’s somehow weak, like they don’t like that they’re dependent on outer accountability and they feel bad about it, and I’m like, this is not good or bad. It’s just the way some people are. It’s the biggest tendency. Lots of people are in exactly your same situation, so it’s not like you’re one of a kind. This is the biggest tendency. Just work with it because once you … There are enormous strengths to the obliger tendency, and this is a very easy fix. In a way, it’s easiest for obligers … All of the tendencies have weaknesses and limitations, and I almost think obligers have the easiest fix because it’s a very concrete fix. Plug in outer accountability. Upholder tendency, it’s like, how do you shore up the weaknesses especially for a rebel. For rebel, the strengths and the weaknesses are so bound together it’s hard even to see what you do. You have to get into the deep psychology of motivation and everything. That’s hard. Obligers, it’s very straightforward. Leanne Vogel: Yeah. You just get that outer accountability I know. Gretchen Rubin: Outer accountability. Yeah. Gretchen Rubin: No. No. No. Leanne Vogel: No. Now I’m not. I’m not going. Don’t tell me what to do. Leanne Vogel: Oh, yeah I am. It’s so true. It’s so true. Gretchen Rubin: Right. If you deal with a rebel, maybe you had a rebel child like, “Honey, tell Aunt Jane you had a lovely time.” “No. I’m not going to,” because maybe you were perfectly ready to tell Aunt Jane you had a lovely time. The minute your mom tells you that, you’re not going to do it. Leanne Vogel: That’s so true. Leanne Vogel: Yeah. Just leave me alone. Gretchen Rubin: because you can do anything. Rebels can do anything they want to do. I told my husband. He’s like, “What are you doing? You didn’t even talk to me about this.” I’m like, “I don’t care. You cannot tell me what to do. This felt like a good thing,” and it was the best choice I ever made. Gretchen Rubin: Yes. Again, thinking about it from your husbands perspective, I think sometimes a spouse like that could’ve been like, “She doesn’t care about me. Doesn’t matter to her what I think or feel. She doesn’t take me into account in a major decision.” When you know someone’s a rebel, you like, it has nothing to do with the strength of a relationship. It’s no reflection of her love for me. It’s just; this is what it’s like to be a rebel. This is the way they are. They’re all kind of like this. They’re like this in every aspect of their live. They’re like it with you. They’re like it with their boss. They’re like it with their children. They’re like it with their family. They’re like it with their friends. It’s just part of what it is to be a rebel, so you don’t have to take it personally. I’ve heard that with all of the tendencies. It’s like, “Well, this questioner, I feel like they don’t accept my authority. Why are they constantly asking me why we’re doing everything? Just like, I’m the boss.” That’s a questioner. They’re like that with everybody. They were like that with their kindergarten teacher. They’re going to be like that with you, and they’re like it with their wife. It’s just them being them, so you don’t have to get upset about it or take it personally. It’s just how to manage it best. Leanne Vogel: Totally. I think understanding these personalities, not just for yourself but those around you can massively improve your happiness. Gretchen Rubin: Yeah. Well, one of the things that I learned as an upholder, a lot of things that came easily for me, didn’t come easily for other people, so I have a lot more forbearance now for other people. This is something that a lot of upholders struggle with. There is kind of coldness to being an upholder because of upholders, in the end, they feel very comfortable pursuing their expectations for themselves. I now have much more insight about why others find that annoying or distressing sometimes because I see how the upholder perspective is different from other peoples perspectives. I used to think, “Well, everybody’s basically like me.” Well, in a lot of ways we’re very much like each other, but the differences are very important. This is a place where the difference is very illuminating. Gretchen Rubin: Here’s an interesting thing about rebels. Rebels often don’t have trouble telling other people what to do. Leanne Vogel: Oh, no trouble. Gretchen Rubin: That’s one of the ironies of rebels. They don’t want to be told what to do, but they feel very comfortable telling other people what to do. What was the other thing I was going to say? It was about questioners. Oh, so many thoughts about this, but yeah. As a rebel, do you ever feel challenged because you want to do something, but then you also don’t want to tell yourself to do it or do you know what you want? Leanne Vogel: Oh. I’ve always known what I want. It’s very clear like, no question. I do what I want when I want. The thing is, when I want something, it has to happen now. I cannot wait. I cannot wait for other people. I cannot keep it in the back of my mind. It just has to be done right this second. Gretchen Rubin: Well, here’s something that’s interesting about rebels. It’s interesting that your husband and business partner is a questioner because overwhelmingly when rebels pair up, they pair up with obligers. That is by far the dominant pattern because obligers are just can tolerate the rebel way typically much better than questioners or upholders, so it’s interesting that you’re paired up with a questioner. Leanne Vogel: Well, my entire team are obligers except for my husband who’s a questioner. Leanne Vogel: All 11 of them. Gretchen Rubin: Well listen to this. You never heard of this framework before, and now you’ve pegged everybody in your life with tendency there. I mean, it is … Once you hear it … I mean, I made it up so of course, I love it, but you see it in the world very easily. Leanne Vogel: What are three steps that somebody can take right now to instill a bit more gratitude and happiness in their life? Gretchen Rubin: Well, one thing I would not say is gratitude journal. I had terrible results from the gratitude journal. Research shows that actually, gratitude journals don’t work that well. If you’re going to keep a gratitude journal, maybe try doing it twice a week. That seems to work better for people. Again, maybe a gratitude journal would work great for you. I’ve heard people do things like, use screensavers that remind them of gratitude or use passwords that remind them of something they want to be grateful for. Sometimes having a little practice like that works better than the journal, which for some reason I find very annoying. Gretchen Rubin: You did. There you go. Leanne Vogel: Don’t tell me to journal. Gretchen Rubin: Yeah. Right. I know. One thing I do is I had … I live in an apartment building where you have to do through two doors to get in or out. We don’t have a doorman, and there’s a pause where you’re opening, opening a door, so I always use that time to think, how happy I am to be going out into New York City, my favorite city in the world or how happy I am to be coming home to my cozy apartment in New York City. Sometimes you can have … Often people, before meals. That’s a very traditional time to have a moment of gratitude, but maybe there’s a different part of your day that would make more sense for you. One thing that I think people ignore is physical because our physical experience always colors our emotional experience, so making sure that you get enough sleep. It’s just very hard to feel happy if you’re exhausted. If you’re very low energy, it’s hard to do the things that you know would make happier because you’re like, “I know I’d be happy if I planned a fun holiday party. That would be so fun, but I just cannot even face figuring out the emails of everybody.” Even though you know it would be a happiness booster, in the long run, you’re too tired, so you want to get enough sleep, get some exercise because some people think exercise is going to make them feel more tired but unless you’re really at the extreme, exercise tends to boost energy. Here’s a weird one. This is always surprised me. Over and over people tell me how outer order contributes to a sense of inner calm and inner self-command. I totally believe that in the context of a happy life, something like a crowded co-closet, is trivial but over and over people say, “When I get rid of things that don’t work or that don’t fit or that I don’t use or that I hate, but I have kept around,” that they just feel more energetic and more in control of themselves. A friend of mine said, “I cleaned out my fridge, and I finally know I can switch careers.” I knew exactly what she meant by that, so sometimes that’s a great way to start. It’s just like clearing clutter because it seems to have more of a psychic benefit than it would seem. Like, if all the resolutions I’ve ever talked about in all my research, the one thing that people most often mention as a happiness booster is to make your bed. Gretchen Rubin: A lot of people feel like making their bed helps them start their day the right way. Leanne Vogel: Yeah. I totally agree with you. One thing that I did that really, really helped especially with my body love experience over the last year, similar I guess to the Happiness Project of just like I’m sick of hating my body and all the social norms that come along with that, so I removed all of the clothes in my closet in my basement, that didn’t fit me anymore. Gretchen Rubin: That’s a great idea. Right. Right. Right. Leanne Vogel: You just don’t see it because you walk past your closet and you’re thinking, “That doesn’t fit me. That doesn’t fit me. That doesn’t fit me,” and that’s not a very fun place to be in everyday. Leanne Vogel: I can totally relate to that. Amazing. Then it was like, here’s the solution and then we have so much more space. We have enough space to put things away properly, and it’s just ridiculous what a positive affect that had on my happiness. When you think of how trivial matter that is. It’s tiny, and yet it had a disproportionate effect on my mood. Gretchen Rubin: Yeah. Then when you walk in, you can see if you have extra toilet paper too. Gretchen Rubin: Like, if you’re running low. It solved so many problems. We need another name for it. What is the … If you know the name, email me on my site gretchenrubin.com and tell me, what do you call that? It’s just like a stick, a pole that sticks up into the air and has toilet paper on it. Pedestal? I don’t know. Leanne Vogel: Toilet paper pedestal. The TPP. Gretchen Rubin: I don’t know. We’ll solve this problem for the Oxford English Dictionary. Leanne Vogel: Exactly. That was fabulous. Where can people find more about you? You talked a little bit about your podcast. Gretchen Rubin: Yeah. I have a podcast called Happier With Gretchen Rubin, and that’s a weekly podcast that I do with my sister, and we talk about exactly these kinds of issues. I have a website, gretchenrubin.com where I post almost every day with something about happiness or habits or human nature. I have an app that I just launched that’s all about the four tendencies, which is that personality framework that I discussed and that’s called, “Better”, so if you just search “Better Gretchen Rubin” on the app store you’ll find it. It was last week. Gretchen Rubin: Yeah. There’s already a lot of cool conversation there and if you want accountability, if you’re like an obliger who’s like, “Oh my gosh. Light bulb. I need accountability.” You can, there, form a group. You can bring your group if you have a bunch of friends who want to do it, like you’re all trying to cook more, you’re all trying to work on your writing together, whatever or you can find people on the app who just want to have an accountability group because really anybody can have … Anybody for any purpose can … Is somebody holding you accountable? That is the key thing. Then, of course, there are my books for people who love to read the way I love to read. I have … Better Than Before is my book that’s really about habit change, so it’s about once you know what you want to do to be happier, how do you get yourself to do it. Then, The Happiness Project and Happier At Home are both books about how do you figure out what makes you happy. How would you go about figuring out what elements in your life you would try to transform in order … Again, it’s like, this is all stuff that you do without quitting your day job. It doesn’t take time, energy, or money. It’s meant to be part of the ordinary day. Leanne Vogel: That’s brilliant, and I will include all of those links in the show notes. Leanne Vogel: For today’s episode, which you guys can find at healthfulpursuit.com/podcast/e7 so everything that Gretchen just mentioned, we’ll put it in there and thank you so much for coming on the show. I learned a lot about myself and my husband. Gretchen Rubin: Yes. I love talking to a rebel. There aren’t that many of them, but they’re always super fascinating, so it was so fun to talk to you. I feel like we could’ve talked all day. Leanne Vogel: That does it for another episode of The Keto Diet podcast. Thanks for listening in. You can follow me on Instagram by searching Healthful Pursuit where you’ll find daily keto eats and other fun things and check out all of my keto supportive programs, bundles, guides, and other cool things over at healthfulpursit.com/shop, and I’ll see you next Sunday. Bye.